God speaks and creates the world around us. He uses His voice to teach us wisdom and to promise blessings in our lives. Following His voice, we put aside our pasts and find new ways to live. He does all of this and more, which is cause for constant thanksgiving except for onethiy: His timing. God’s timing is not in sync with our own. He frustrates us most when He is showing His best but not when we hoped, expected, and planned for it. His ways are not our ways, and His timing is not our timing. It is better. That is not always apparent though. Abraham and Sarah waited 20 years after God promised them a child before they experienced that promise kept. That was 20 more years they could have spent loving their son. Why? Simply because God thought a 60-year old giving birth was not challenging enough for Him so He raised the stakes to 80? Perhaps. God does show off His power more often than I believe we recognize. But ask yourself this: Do you think waiting for 20 years changed Abrahm and Sarah? I think it did. In fact, if the birth had taken place immediately, I don’t think Abraham would have had the faith or willingness to offer young Isaac back to God on Mount Moriah. They were changed not just by the miracle, but also in waiting on God’s timing of it. On the other hand, God’s timing often is faster than our own. While He may sometimes seem slow to bring us blessings we focus on, like the watched kettle that never boils, He is incredibly quick to forgive. In fact, it often seems like God forgives us before we are even sorry. Aid so it should seem, for so it is. God does not wait for us to be ready for forgiveness. He sends it when we need it, not when we want it. We always need it before we want it. He exemplifies love to us in His timing by giving us what we need, when we need it… not what we want, when we want it. How are you experiencing God’s timing today? How are you loving according to the example of God’s timing? Now Abraham was old, well advanced in years; and the Lord had blessed Abraham in all things. Abraham said to his servant, the oldest of his house, who had charge of all that he had, “Put your hand under my thigh and I will make you swear by the Lord, the God of heaven and earth, that you will not get a wife for my son from the daughters of the Canaanites, among whom I live, but will go to my country and to my kindred and get a wife for my son Isaac.” The servant said to him, “Perhaps the woman may not be willing to follow me to this land; must I then take your son back to the land from which you came?” Abraham said to him, “See to it that you do not take my son back there. The Lord, the God of heaven, who took me from my father’s house and from the land of my birth, and who spoke to me and swore to me, ‘To your offspring I will give this land,’ he will send his angel before you, and you shall take a wife for my son from there. But if the woman is not willing to follow you, then you will be free from this oath of mine; only you must not take my son back there.” So the servant put his hand under the thigh of Abraham his master and swore to him concerning this matter. Thomas Wolfe’s posthumously published novel You Can’t Go Home Again puts a new spin on the experience of Jesus and the prophets and their work in their hometowns and parallels it with the work of an artist… in this case, an author. The memories he shared of his childhood home made him, and the people of his hometown nationally known. He appreciated the celebrity status. They did not. While he was not preaching to them, his nuanced portrayal would have dug into their own more secure self-perceptions. His artistic portrayal was challenging and in so being – prophetic. 2 My tongue unchanged, my hair thinner grown. Once you’ve left, you cannot go home again. One of the lies we are told is that we can somehow return to those romanticized places that may never have existed in the first place. On the other hand, Once you have met Jesus, nothing else looks the same ever again. God doesn’t want us looking back wistfully. He wants us to lean forward into a future with Him. What longing keeps you looking back? What hope of a new home with Christ leads you onward? Therefore, brothers and sisters, holy partners in a heavenly calling, consider that Jesus, the apostle and high priest of our confession, was faithful to the one who appointed him, just as Moses also “was faithful in all God’s house.” Yet Jesus is worthy of more glory than Moses, just as the builder of a house has more honor than the house itself. (For every house is built by someone, but the builder of all things is God.) Now Moses was faithful in all God’s house as a servant, to testify to the things that would be spoken later. Christ, however, was faithful over God’s house as a son, and we are his house if we hold firm the confidence and the pride that belong to hope. Faith is all about promises and how we keep them. The Bible refers to most of these promises as covenants, the sacred promises made particularly between God and people. Somehow, these covenants which create relationships, seem to always get started by God and reciprocated (to a lesser degree) by us. It is how we get adopted into the Kingdom of Heaven. God goes searching for lost people and finds us, and invites us home with Him. Most of God’s promises are miraculous, whether they are big or small, loud or silent. It is almost as if God were too easily bored to just do things the simple way. He chose Abram and Sarai to be the parents of His chosen people, and instead of catching them at the ripe age of 18 or 20, God waited until they were 60 and 80 and then didn’t give them a child until 20 years later. By that point they were well beyond ripe. The fruit had fallen off the tree. Nevertheless, God kept His promise. God chose Moses from birth, but led Him too on a 60 year wild goose chase from the palace of Pharaoh to the desert wilderness and back and forth over and over again. Moses, who is still celebrated as the Giver of the Law (or delivery man of it at least) never got to set foot in the Promised Land, but he led the people there. After going around the desert in circles for 40 years. There were definitely quicker routes. Then there was Jesus, the Son of God Himself. He could have set things right with a word. Instead He chose to become the Word made flesh. He lived and served with us, suffered and died for us. That might seem counterproductive, but the author of Hebrews calls Him first here an apostle, one who is sent. We normally think of the first disciples as being the apostles, but I think Jesus was the original “sent” one. He trusted God’s promises and responded with His own faithfulness. 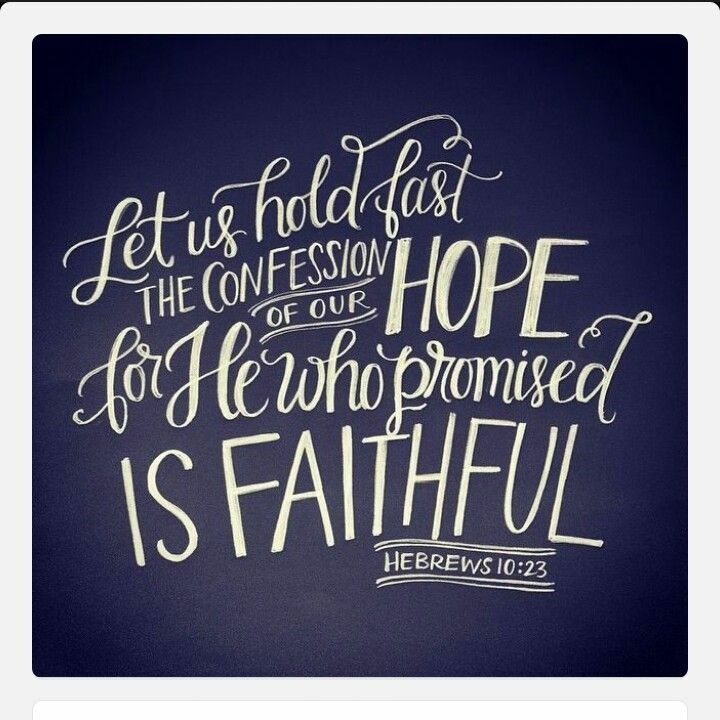 Those who followed after Him saw His faithfulness and responded by trusting His promises and being faithful themselves. What promises has God given you? Are they miraculous promises? How are you responding to those promises? Tags Abraham the Patriarch, God doesn't do boring, Jesus the Apostle, Moses the Law-Giver, promises, Speaking of, What kind of promises does God make?